Over 10,000 grandmothers and grandfathers are expected to converge on Knock Shrine, Co. Mayo, this September for the largest pilgrimage of its type in the world – and 13 year-old Ireland’s Got Talent winner Chloe Coyle will perform with her mentor Dana as part of the celebration. 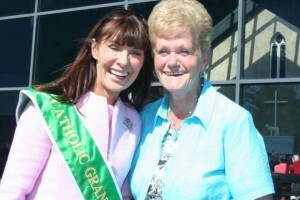 Pictured at Knock Shrine, Co. Mayo, at the 2009 National Grandparents Pilgrimage are (from left) Catherine Wiley, founder; and Sadie O'Connell, Enniskerry, Co. Wicklow. Picture David Walsh. In just four years, the National Grandparents Pilgrimage has become one of the largest religious gatherings in Ireland. This year’s event will take place on Sunday, September 12th, at 2pm. Tyrone girl Chloe Coyle, who was a popular winner of this year’s Ireland’s Got Talent tv show, has agreed to sing at the Mass, while former Eurovision winner Dana, her mentor on the popular tv programme, will also perform. Michael English, a Kildare singer who has a huge following around Ireland, will also sing for what is expected to be a packed Basilica at Knock Shrine. “We are expecting in excess of 10,000 at the pilgrimage.  Grandparents are travelling from all over Ireland to pray together for peace and harmony in our world, and also to pray for the happiness and contentment of their children and grandchildren,” said Catherine Wiley, founder of the pilgrimage in 2007. A nationwide prayer appeal for grandparents has been launched as part of the build-up to the Pilgrimage, and grandchildren from all over Ireland have responded by writing thousands of prayers for grandparents. These prayers will form part of this year’s pilgrimage Mass. More details on the Pilgrimage can be found on www.CatholicGrandparentsAssociation.com, or by telephoning 098 24877. •	The National Grandparents Pilgrimage was established by Grandmother Catherine Wiley in 2007. •	The aim of the National Grandparents Pilgrimage is to celebrate the important role grandparents play in the lives of their grandchildren.